My RE/MAX offices are RE/MAX ALL POINTS REALTY GROUP in PORT MOODY & COQUITLAM, B.C. Integrity, service, and performance have consistently given RE/MAX All Points Realty almost 40% of the real estate sales market share in the Tri-Cities. Here's why. 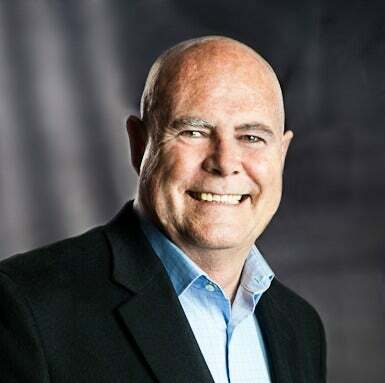 People: Opening eighteen years ago with a strong core of Realtors, RE/MAX All Points Realty has continued to attract and retain the best Realtors. Their expertise goes to work for you every day. Reputation: All Points Realty has a solid reputation in the community. Every Realtor works hard to make sure that All Points Realty remains worthy of that reputation. That means delivering continued integrity, service, and performance to you. Availability: When you're looking for a house, RE/MAX All Points Realty is already on the job for you. The office opens Monday to Friday from 9 to 9, Saturday from 9 to 5, and Sunday from 10 to 4. The front desk is always manned; the phones are always staffed by a qualified agent. You don't have to wait for answers or action. 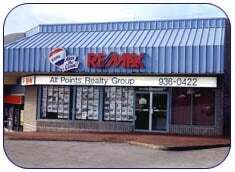 Location: RE/MAX All Points Realty offices are easy to find at 2615A St. Johns Street, Port Moody & 101-1020 Austin Avenue. Coquitlam. Parking is easy and free. Our door is right at ground level. Just walk right in! Performance: Every year All Points Realty is home to five or six times the average number of MLS Medallion Club (top 10%) members. They're at the top of their profession because they know how to give service and deliver performance with integrity. RE/MAX All Points Realty claims a 98% positive rating in customer feedback surveys. Our Realtors thrive on repeat business and client referrals. Just read their stories posted in this web site. Be convinced! RE/MAX All Points Realty has consistently grown each year in an industry and area that loses players every year. Specialization: RE/MAX All Points Realty is a Registered Relocation Specialist agency. Through the world-wide offices of RE/MAX, All Points Realty's Registered Relocation Specialists can help you with all the details related to moving your family to Vancouver. Corporate Strength: All Points Realty is a member franchise of RE/MAX. "No one in the world sells more real estate than RE/MAX." We can show you why. RE/MAX Western Canada www.remax-western.ca and RE/MAX Canada online: www.remax.ca. Corporate Citizenship: All Points Realty is an active and voluntary contributor to the Children's Miracle Network. All funds raised through All Points Realty in the name of this national charity go to the Vancouver Children's Hospital.